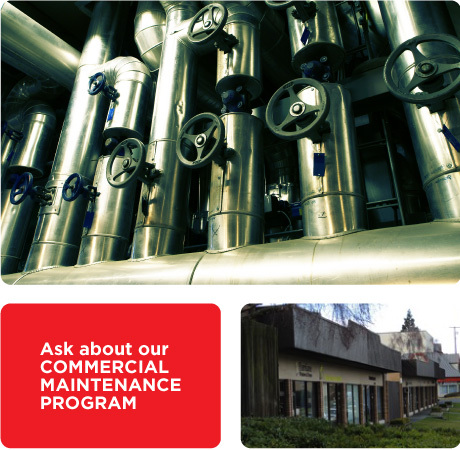 Join our Commercial Maintenance Program to receive 24 hour emergency service and reduced rates. As a developer or commercial tenant, up-time is of utmost importance. Our trained technicians are experienced with commercial requirements and up-to-date with current provincial code regulations to ensure your repairs are made accurately and efficiently. Less downtime for you is our main objective. Whether it’s your boiler system or restaurant drains, we will have it fixed without delay. Call Carolyn today to find out how your project can benefit from our Commecial Maintenance Program. Swift Plumbing & Water Heaters Inc.